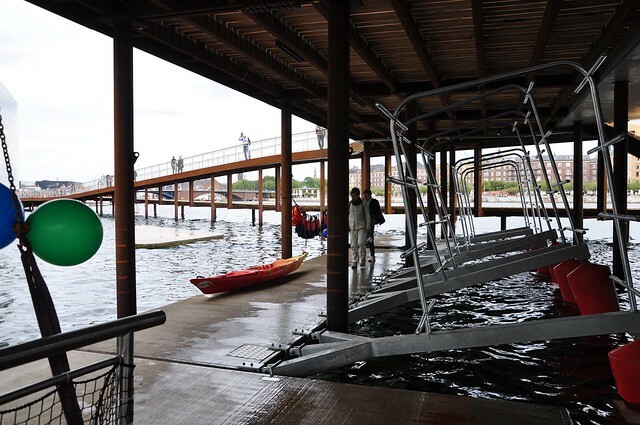 On Friday the 30th of August, the Kalvebod Waves, designed by JDS Architects, were officially opened. 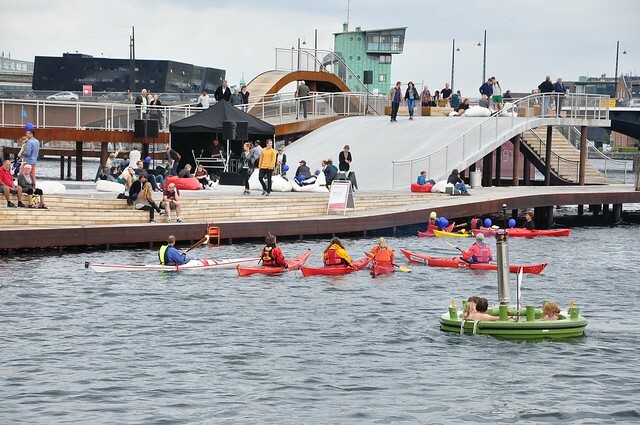 Copenhagenize.com has already promoted this fantastic new dock when it was still only a project. It will bring life to the waterfront part, but it could have created a bicycle shortcut. Indeed, the opportunity to create a better connexion between Kalvebod and Island Brygge has been missed. 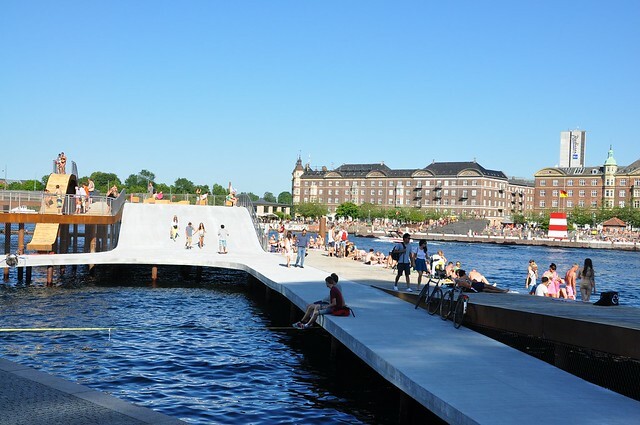 In July, a part of the Waves has already opened and many inhabitants enjoyed this new public space.